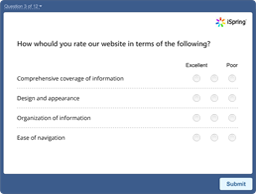 With iSpring QuizMaker, you can create beautiful assessments, set up custom scoring, and evaluate employees’ progress online. 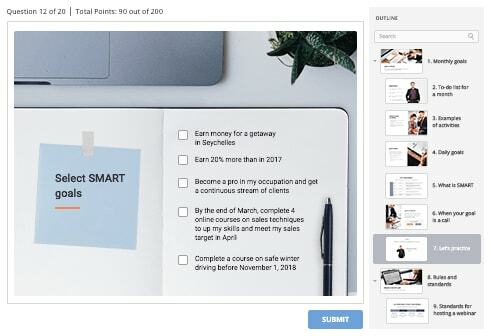 Enhance your training materials with quizzes and practical activities, which will help employees polish the new skills, and you can make sure they’ve grasped the material before moving on. Use drill & practice activities and detailed feedback to help your employees master materials at their own pace. 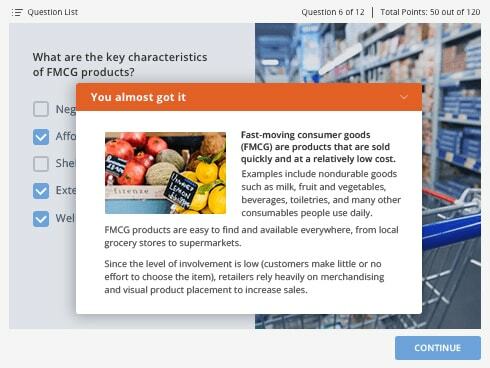 You can give multiple attempts on quizzes, add comments to each question, and provide useful links and materials. With interactive activities, you can stimulate learning and help employees build and polish their skills. For example, a merchandiser can practice displaying products on shelves, or a sales manager can learn how to use an electronic cash register. 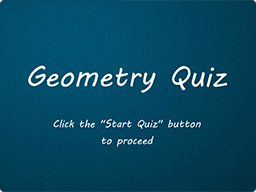 Develop quizzes to train and assess employees’ knowledge. 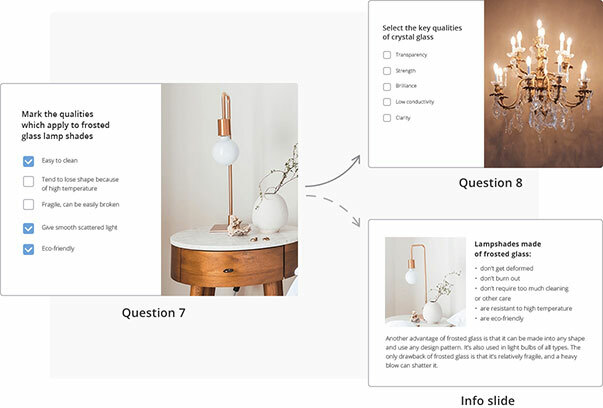 Utilize various types of questions and activities, set the rules, and customize the design of your quizzes to match your corporate style. 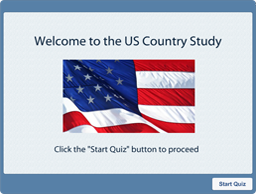 Enhance your training quizzes with additional slides containing detailed information about the subject. 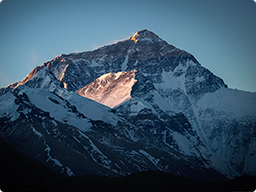 This will encourage employees to more deeply understand the concepts they’ve learnt. Create individual learning paths depending on how well each employee is performing on the quiz. For example, if the employee gives a correct answer, they can move to the next question. Otherwise, they have to read an info slide before moving on. You can use audio-based questions to assess employees’ practical knowledge and skills. 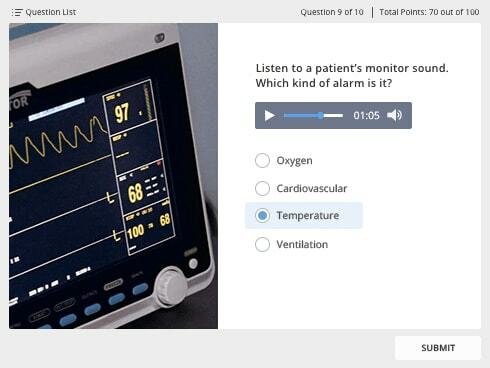 For example, if it’s a medical equipment quiz, you can check how well your employees know different types of warning sounds. With iSpring’s built-in Equation Editor, you can create quizzes with mathematical symbols and expressions, like square root, power, integral, and many more. 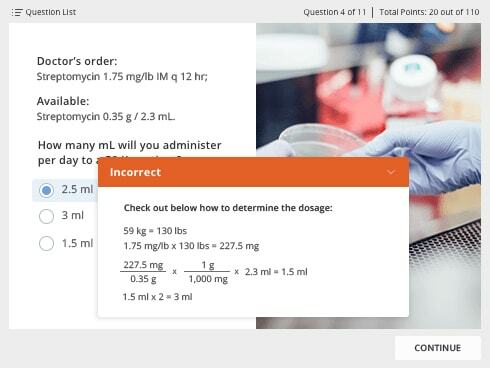 For example, you can build a quiz for nurses where they have to calculate drug doses and infusion rates. 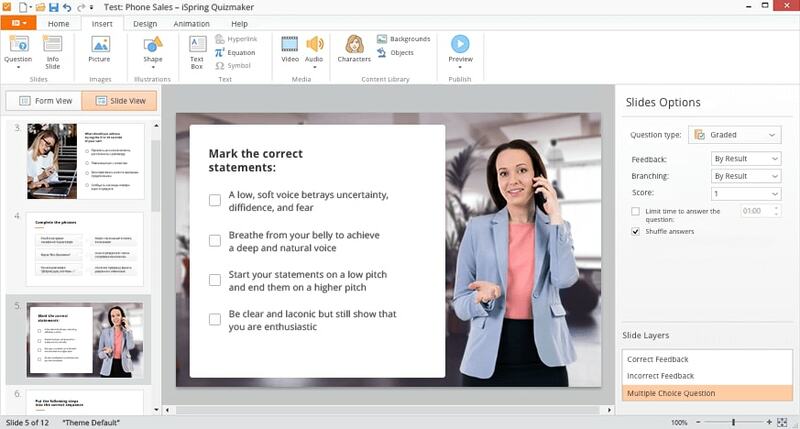 With iSpring QuizMaker, you can customize the style and colors to match your brand, experiment with different layouts, add text blocks and visuals, and set transparency, shadows, and outlines — everything is just as easy as in PowerPoint. 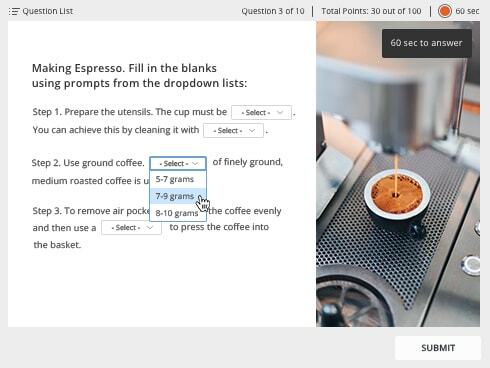 You can adjust your quizzes to any type of assessment. 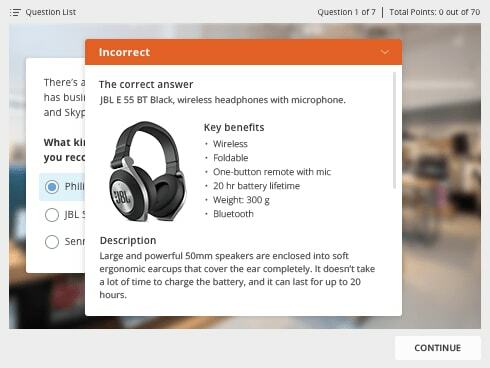 iSpring QuizMaker allows you to assign points and penalties, or give limited time and attempts to answer each question. 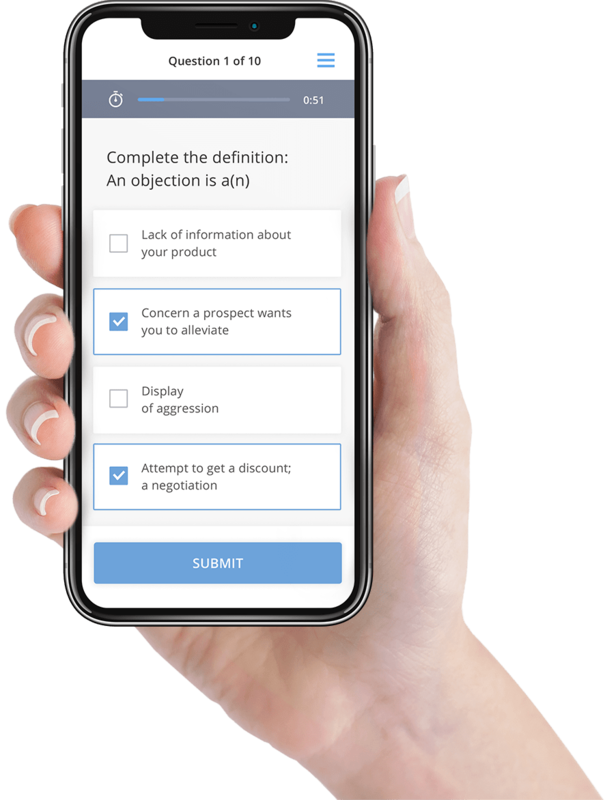 With iSpring QuizMaker, you can set the overall passing score or assign points for each answer individually, and use penalties and set limits for time and attempts. To avoid cheating, you can randomize questions in your quizzes. 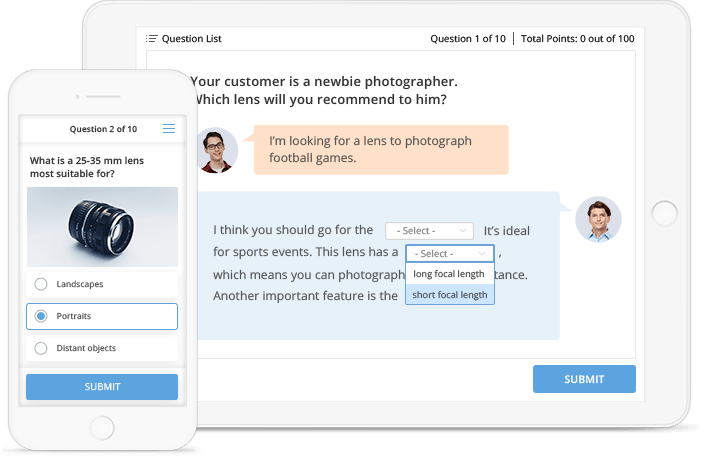 When you have different question groups, iSpring QuizMaker can select random questions from each group, creating countless variations of the same quiz. 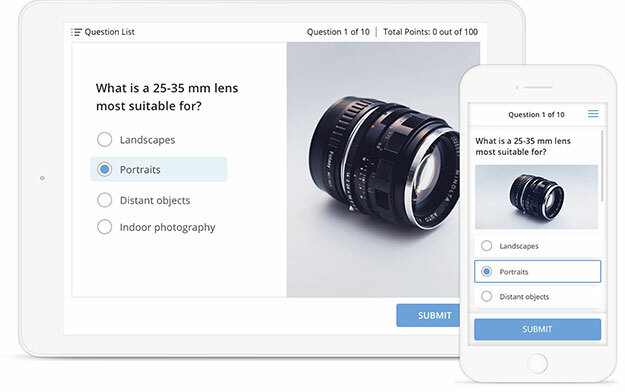 Automatically send quiz results to your LMS, email, or server. This way, you can keep control of your employees’ progress and further develop your methods and strategy. 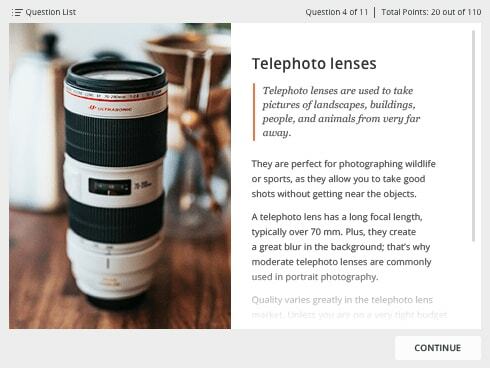 iSpring’s quizzes look cool on all devices without any additional work. They automatically adapt to all desktops, tablets, and smartphones. 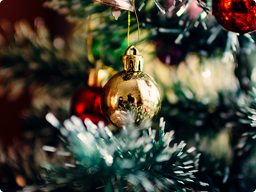 Employees can take quizzes whenever they have time: at home or on the road, in a cafe or in the workplace during breaks. 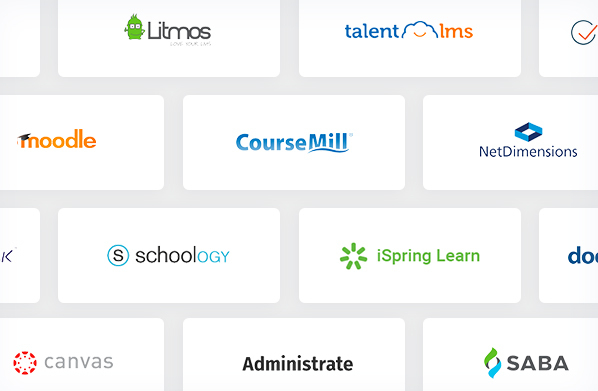 iSpring QuizMaker produces quizzes and tests that are compliant with all classic and new e-Learning standards: SCORM 1.2, SCORM 2004, AICC, cmi5, and xAPI (Tin Can). 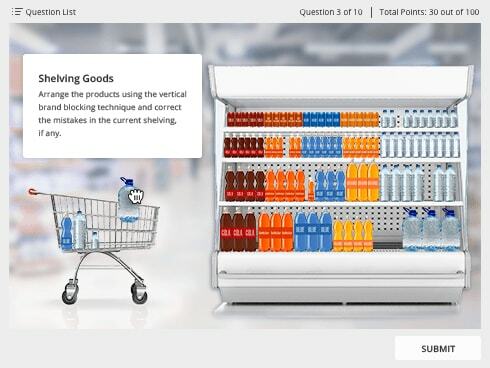 A dedicated team at iSpring manually verifies the compatibility of quizzes with LMSs. They test if a course displays and awards points correctly, how statistics are generated, and how it works on mobile devices.